I am rather bored right now, so I shall finally join in on this weekly meme created by my blog homie, Melissa. ^.^ This meme was created for those to share where they are in a book they are reading. Make sure to not give away spoilers! 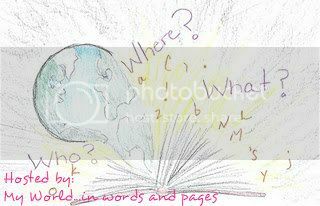 Just share who your with, where you're at, and what is going on in your book. 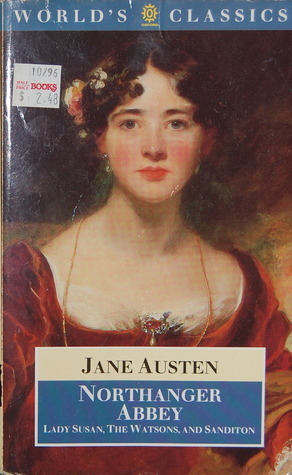 Right now I'm nearly done with Northanger Abbey by the always fabulous Jane Austen. I'm so close to the end I can smell it! I've been working on this book for a while now. Gah! I'm with Catherine over at Northanger Abbey in England during the 19th century. Things are starting to get "spooky", Catherine is now convinced Northanger Abbey is supporting supernatural beings and objects. ^.^ Where are you in your adventures? Oh Carole Rae! Thank you greatly for joining in! And do hope things are too spooky for you. ;D Thank you again!